Adopting in response to your faith, answering "the call of adoption," means nothing if you don't adopt to love a child. Yes, y'all, it really IS that simple. Don't adopt to save a child. Nor to rescue a child. And definitely don't do it just to prove or grow your faith. Or to join the "in crowd." If you aren't adopting to love a child, then STOP. Don't adopt. You won't gain anything. Neither will the child. The end. Except what does that love look like? Adoptive parents are a diverse crowd, and our children are just as diverse, so I don't know that it's completely fair to create a list of specific dos and don'ts and say "THIS is what love in adoption MUST look like." But... but... some overall concepts are universally true. While we may not agree on every single detail, and I may not be right on every single point, I do believe that sharing my list - the things that God has placed on my heart - will help you think more about God's Truth when it comes to your own call to adopt. Adopted children? Often come to us hurting. Even if they experienced "little" in the way of trauma before entering our lives, the very act of adoption is traumatic. Because there is loss in the act of adoption, it's inevitable that our children will struggle, at least some of the time and often more than that, especially in the early years. We must be patient with them. We must give them what they need, when they need it, even if it does not match up to our expectations. Be patient when they are anxious... they are afraid you will leave them. Be patient when they are controlling... they are responding to a deep-seated need to feel safe and secure. Be patient when they express insecurities... they still feel the soul-shaking sting of abandonment. Be patient. Most adoption professionals will tell you that it takes at least a year to transition... but for our children who hurt the most, for whatever reason, it often takes about three years. It is not kind to expect an adoptee, especially one adopted transculturally and/or at an older age, to seamlessly fit into your life. The entire family must work together to make adjustments when an adopted child enters the family. Consider how you can introduce the tastes, sights, sounds, smells and experiences that the child already knows and loves into family life. Simply because it's the kind thing to do. It is also not kind to expect a child of a minority race to live in an all-white world. We can debate the impact of a lack of diversity for forever and a day, but I think that we can all agree that a lack of diversity for a child of color in an all-white family? Is just not kind. It asks a lot to expect a child to feel comfortable in their own skin when they rarely, if ever, see someone who looks similar to them, or even - failing that - someone who simply looks different from White. It IS kind to actively seek out diversity for your multiracial family, even if that places you outside of your comfort zone. It is also not kind to expect that love, no matter how rich and full, will ever erase their pasts. Kindness means acknowledging their pain, acknowledging THE RIGHTNESS of their pain, showing them compassion and walking alongside them through their grieving process, which may be minimal or extensive, short-lived or life-long. It's different for every adoptee. We have to be prepared for any reality. As adoptive parents, we need to get past any insecurities we have about our childrens feelings for and connection to their first parents. Period. When your child asks you about his or her birthparents, you need to answer truthfully, respectfully and with great compassion. There is no place for envy nor insecurity. This needs to carry through into your child's adolescent and adult years, when he or she may even choose to search for and/or increase contact with the other family. I need to go a step further and share that I also believe it is boastful to adopt even one more child than the Lord calls you to adopt, whether it be child #2 or child #15. The Lord blesses small families and large families... all are beautiful in His sight. God should determine how many children each family has, not the humans involved. When we overreach His will for our lives, we do a disservice to our marriages and the children already in our homes. Just because we have a plethora of material resources does not necessarily mean the Lord believes we have a plethora of emotional resources. I mean, I always wanted a large family, but the Lord has made it clear to me in recent years (through His words and circumstances), that it is not His will for me to be a mom of a large family. How humbling, especially since I know and admire several mommas of large families, including my own sister. Adoptive parents need to really sit with their own biases about different socioeconomic classes, races, languages and cultures. We need to accept and embrace the best aspects of our child's birth culture and show compassion when discussing the worst aspects, all the while honestly and humbly admitting to the best and worst of our own culture. We also need to acknowledge that adoption is often based on the perception that a middle-class, traditional two-parent family is better for a child than other family alternatives. We need to acknowledge that the attitudes "they'll have it better in America" and "it will be better for them than life with a poor, single mother" run rampant through the adoption community. We need to admit that these prevalent beliefs exist because, when viewed through the lens of middle class American values, it's considered true. But what if we remained humble, avoiding that trap of assuming that our way of life is superior to another? We need to remember that adoption is better today as compared with 30 years ago because we oh-so-slowly started listening to the voices of adoptees. We must respect that. I often hear people throwing around the term "angry adult adoptee" to silence an adoptee's voice, even when the adoptee is not expressing an opinion that sounds angry... it just doesn't sound "grateful." While these adult adoptees do not speak for our children, they can offer a unique perspective that we do not possess unless we, too, are transracial adoptees. And yes, of course our children might feel completely the opposite from the opinion being expressed, but... maybe not. We also must treat first parents with respect rather than rudeness. In the past two months, I have encountered several blogs plastered with Scripture and "pray for us" messages that also include derogatory terms describing natural mothers, including, but not limited to, "breeders" and "incubators." Really? Come on, really? Adoption is based on the best interests of the child... except when it isn't. It is easy for prospective adoptive parents, ignorant or desperate, to allow their own wants and needs to creep in ahead of the best interests of the child. Adoption professionals are there to combat that, but... BUT... adoption is also an industry, so those safe-guards can easily fall through. Adoption professionals possess their own biases, as does everyone; and adoption agencies, lawyers and programs don't want to lose jobs. Understandable. Except it's not. Because these are CHILDREN we are talking about. Ideally, a child should live with his or her biological family in a safe, nurturing environment where basic needs are met. Period. Adoption should not even enter the conversation unless this is not possible. Which means that adoptive parents should not only listen to the voices of adult adoptees, but also the voices of first parents/ birthparents/ natural parents. Learn, from their perspectives, about the Baby Scoop Era (BSE) and the coercion that still goes on today. Accept that more young mothers might choose to parent their children if they received more support and acceptance from their families and communities. Also, pay attention to the recent news story from Haiti about the Idaho missionaries - this international form of coercion occurs more often than we wish to believe, in countries all around the world. The only difference with Haiti? Was that Laura Silsby got caught. If you adopt, be sure to also actively support family preservation efforts with your words, time and money. Because love is NOT self-seeking. Adoption creates complex emotions bcause adoption itself is complex, forming out of complex situations. 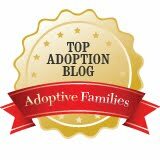 As adoptive parents, we must avoid growing easily angered when discussing adoption and adoption issues... because we may fully understand just three or four of the 25 or 30 issues important to the topic at hand. It's always far more complex than we realize. It's very easy, during those first few months (or years!) home with an adopted child, to allow everything to build up, blaming the child for a lack of bonding and attachment. I admit it. It's even expected when one is dealing with a child who has moderate to major attachment issues. But that doesn't make it right. We are to strive to keep no record of wrongs, forgiving again and again. And again. We will never fully attach to our children if we continue to focus on the wrongs they've committed... wrongs that, when seen through the lens of adoption trauma, are completely understandable. They didn't ask for any of this... WE did. They are children... WE are adults. They lost as much, if not more, than they gained... WE lost nothing. I need to just come out and say this... adoption, especially international adoption, is a corrupt and dirty business. Our social worker, an employee of a well-respected Christian adoption agency, even states this. Unequivocally. We need to not only acknowledge this, but actively work, to the best of our ability, to end it. That's not to say we shouldn't adopt at all. Because there ARE millions of orphans in this world who need loving homes. But... BUT... we need to research countries and agencies before we commit to them. We also need to acknowledge the differences between infant and older child adoption, special needs and non-special needs programs. (Now, y'all know that the husband and I are adopting through China's non-special needs program, so I truly don't judge the decisions of any family, because Heh-LLO... but that doesn't mean I can just sweep it under the rug because it makes me uncomfortable.) 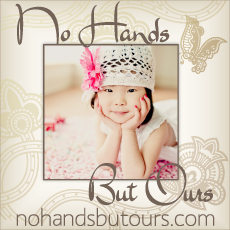 Healthy infant girls are seen as a commodity within the adoption industry. That's not to say that EVERYONE views them this way - and of course you don't - but there are MANY who do. Every nation, even China, has been touched by corruption scandals. We can't ignore this. We need to actively fight against this. And if we find evidence of gross corruption within a specific agency, program or country - even if we have already committed to it - we need to put aside our selfish desires and start all over again. Because love does not delight in evil. If we are not prepared to tackle racism and discrimination head on, then we definitely should not adopt transracially. And every adoptive parent needs to work to rid their child's world of biases and legal discrimination against adopted persons. This includes basics such as helping schools learn adoption-friendly language and fighting for the rights of adult adoptees to have access to their original birth certificates. And here's where I say that - if God calls you to become an adoptive parent - God will equip you to become an adoptive parent. The ideas that you are reading today may feel completely overwhelming to you. You probably even disagree with some of them. But God will equip you to do what He sees that your child needs. The details of your child's list? May look very different from this list... because this is the list God placed on my heart for our Tongginator. But make no mistake, God WILL expect you to love your child with the love of 1 Corinthians 13. And it will look different from loving a biological child. The only thing you have to do? Is empty your cup. That's what my husband says when he's talking about remaining teachable, open to what God has to say. God can heal any child... even a child with reactive attachment disorder. God can do that. And we, as adoptive parents, need to cling to that hope even amidst the darkest of days. We cannot give up on our children. Now I do realize that sometimes... SOMETIMES... families need to find another solution, especially if other children in the home are being harmed. But giving up too early and too easily is not Godly. It just isn't. Because love? Perseveres. And it doesn't, y'all. I do not share these things to scare you away from adopting. I share these things because, if you can read what God has placed on my heart about adoption without reacting defensively - even if you disagree with some of it - then oh my lands, will you ever make an excellent adoptive parent. Because the one quality that is the most important in this incredible world of adoption parenting? Is one's willingness to remain teachable. And if you are willing to thoughtfully consider my imperfect, human thoughts on this topic, and to at least listen to the personal experiences of other members of the adoption triad (adult adoptees, first parents), then you definitely are willing to hear God's voice in all of this. And that? Will be enough. Worldly love may not be enough for an adoptee. But the love that God describes in 1 Corinthians 13? THAT kind of love IS enough. THAT kind of love never fails. Really, really, REALLY well written, TM. I wanna be your follower all over again. This definitely needs to be published. You touch on some very thought provoking things and true, we might not all agree on every point, you are so wise and so well spoken. Adopting a child is so much more than signing papers and changing diapers. And I love how you point to God, who can equip, who can heal, who can love, beyond anything we can even imagine. TM - You are an inspiration. The reason I keep coming back to your blog? Because it is a place to speak with eyes and ears open. Because I feel community here. Because this adoption community gets better when you write like this, from the heart, with a spirit of understanding. And because you show a respect for the complexities of adoption, and those representing various - and even opposing - viewpoints. Well, except for when you clean out your fridge. I'm going to stay in denial about that. This is a wonderful list. Truly. I will keep this in mind if and when the Lord even opens the door for my husband and I to adopt ... and even if that never happens, in any dealings I may have with other adoptees or adoptive parents. Thank you for sharing your heart with us! "Adopting in response to your faith, answering "the call of adoption," means nothing if you don't adopt to love a child." EVEN IF THEY DON'T LOVE YOU BACK!!!! That is the sentiment we need to spend more time on as perspective adoptive parents. Our love and desire to raise a child needs to be bigger than the possibility that the child might not ever love them back. If you have a desire to continue on after letting that sink in...you will make it through. TM, this is wonderful. Truly. I'm printing it out. Best. adoption. post. ever. Hands down. Thanks so much for expressing what so many of us think! Wow - you were well and truely Inspired to write that - brilliant! I'm recommending it to our agency as a 'must read' for potential adoptive parents - OK? Oh my word. This was perfect. Just perfect. I'm linking this week, if that's okay with you? And Aus is right, every agency should include this in their resources for parents. "For example, just this past week sweet Kim received some unkind emails from a few adoptive parents simply because she linked to an adult adoptee blog post that she found thought-provoking." She evidently posted links to Melissa's blog. And adoptive parents consider *that* blog to be "angry"? Wow. These adoptive parents haven't seen NOTHING yet. Beautifully written and worthy of wide spread publication! This is a beautifully written post. I agree whole-heartedly. Thank you, thank you, thank you - for giving a voice to compassionate faith. i really don't need to be blogging anymore. i'm just gonna link the words that people steal right out of my mouth. laurie got me today too. now i gotta link you too missy. Well said. A beautiful post, thanks for writing it and sharing it. "I need to go a step further and share that I also believe it is boastful to adopt even one more child than the Lord calls you to adopt, whether it be child #2 or child #15. The Lord blesses small families and large families... all are beautiful in His sight...."
The ENTIRE post is just BRILLIANT!! This truly may be the BEST post I have ever read on this subject! I appreciate how well written it is, and I wish it were a manditory read for EVERY AP or those considering adoption. I knew very well what you were leading up to when you mentioned about Kim's post last week. It just shocked me to hear how many people were upset with her for simply linking us to another (very credible!) point of view. And even more shocking to know that I'm certain at least some of those very people who shunned or scolded her, also call themselves Christians. I think you did a magnificent job of explaining what it really means to be a 'Christian' AP here. And you're right, it doesn't mean that everything and every detail is going to be the same for one as it is for another, as we all know that no two adoptions are the same. However, that doesn't mean that our cups are full and we just stop listening and learning. I LOVE what your hubby says, "The only thing you have to do? Is empty your cup." This is how we remain teachable and open to what God has to say. SO well said, and SO TRUE!!! I've been visiting your blog for over a year now and just realized I wasn't an official follower... I am happy to report that I took care of that, and it is no longer the case! ;) Keep the great topics coming. I hope to see this one published somewhere soon!! SOOOOO good! Wow. I think I may need to go back and read that again. I have two daughters that were adopted from China and consider myself an "experienced" adoptive parent, but this list touched me to the core, especially "love does not envy". Although we have not yet had to deal with that situation (my girls are 2 and 5), I have already felt fear about it. You gave me a whole new perspective on it. I will come back to your "list" again and again just to remind myself. Thank you. I think that your post is very well thought out, and I appreciated reading it! Thanks! AMAZING post. There's so much truth in this. What you said about adult adoptees and corruption and difficult transitions and everything else...yes, yes, yes. The truth isn't always easy. Thanks for sharing this, I hope lots of adoptive parents see it. Yes Ma'am! This touched my heart, yep, it did. YOU are an amazing writer, mother, friend and Christian. Love your heart for children and adoption!!! You certainly have an amazing gift for writing. This definitely needs to be published. Beautiful, just beautiful. Thank you for the beautiful and thought-provoking post. I love how you linked adoption to I Corinthians 13. A very good read! I know my thoughts on adoption have definitely evolved over the past several years of being an adoptive parent. I appreciate posts like yours that continue to grow me. Amen! Beautifully written. I think this should be required reading for all adoptive parents. Seriously. I thought I was "prepared" when we adopted Sarah, but in reality I wasn't. It's been a journey... and will continue to be one for our entire family. Adoption is a lifelong process. I did watch that video. Every second. And wept through it. I do think every potential adoptive parent should read this. Including myself. Oh my goodness. Words will not come out right now. Still so many tears. Listen here, I'm giving you a standing ovation for this post. Wow, just when I thought you'd written an amazing post, you go and do it again and again and again! You get better and better, keep typing! This is a wonderful list. May I ask a question? Were you aware of all the items on this list before you adopted T from China or did you learn a few of these points along the way? I am learning knew things every day. Going into the adopting a baby from China, I had read about possible attachment problems, I read about racism that we would face along the road and I understood that Briana was losing her culture and that I needed to try to help her love and know the country she was born in (as best I can). BUT - there were things I didn't know back in 2006. I didn't realize how hard some adult adoptees grieve the loss of their bio families and how affected they are by those losses. I honestly didn't realize the extent of corruption in international adoption at the time. I didn't realize the debate regarding celebrating or not celebrating a "gotcha day" or that the term "gotcha" offended some people. And I didn't realize how much I didn't think about diversity on a daily basis until Briana came into my life. I feel now like I was somewhat naive going into the process of adoption. I wish I had read a list like this before adopting. It would not have changed my mind to adopt from China - I'm not saying that at all. Briana is my absolute blessing. But I think I would have been a little more prepared as to what my and Briana's future held. I am trying to learn as much as I can now - while Briana is still very young. And I know, I will NEVER know everything. BTW, I believe the Lord made it clear to me recently that my family shall remain small. This is something I am definitely learning to accept and am finally at peace with it. Oh my gosh. BEST POST EVER. Sorry for the second comment. But this is one of the most thought-provoking posts I've ever read, and I find myself coming back to read it again. I think I need to print this one off. I also watched the video you posted. It is long, but a MUST-VIEW for every AP or those considering adoption. It's SO important to do your research before selecting an agency, and to KNOW that they are Hague accreditted. It angers me that this agency (whom I DID look into a couple years back, but had 'red flags' in my research along the way that caused me to go in another direction) have the name Christian in their agency name and title. It upsets me that they hide behind and use that title so loosely, and the hurt they CAUSED extends to so many! They should be ashamed of themselves for the immeasurable damage they have created and caused for so many people involved on all levels, from the birth mothers to the children themselves, to the AP's...it's all around very, very sad! I love Briana's voice on this, because I know for a fact I was in those same shoes with the first adoption that was canceled and I'm thankful I began reading more adult adoptee blogs and literature before this adoption was completed (and continue to do so). As I've said in comments before- those voices are the voice of my own child and if I don't approach them that way, I'm doing her and myself a great disservice. Even when I don't agree there is still so much to be learned. And I want to remain "teachable". Lisa, it's awesome that you are coming to it now. That you are open to hearing all the voices. Loss of birthparent/s is a primal, primitive loss. One that doesn't ever leave, no matter how great the outcome was of your child's life. oops, meant to say Lisa's voice, Briana's Mom! BeeeUtiFULLLL! Thanks for taking the time to write...you're thoughts are inline with so many parents...it's too bad the media focuses on the negative when there is clearly more positive! Someone call Oprah and get this out there! Aptly and beautifully stated...just as always! Best post. Ev-vahhhh. Hands down. Thank you! I hope you don't mind if I send this to my family and to my Facebook friends. First - this is my favorite verse from the bible...and now means more to me than ever before. Thank you! What a meaningful post. Thank you for writing and sharing this. I've seen a lot written in this area lately, but I was most deeply touched by yours. I wish everyone would read it. First time here via Kris. What a beautifully written post. Definitely one for the archives. LOVE, LOVE, LOVE....and linking back to this from my Facebook page. Have some friends who need to read this ASAP. Love you and love that you are responding to the way that God is working on your heart. This verse ministers to me. Thank you for a beautiful reminder of the power of His love. Always hopes... God bless you Tongu Momma! That was really long, but really good. So glad you had the patience to sit down and write it! I know 1st hand how difficult it is raising children that are not my race. Emi not so much yet because at age 2 she hasn't really made it obvious but she is definitely drawn to people who look like her, especially her aunt who was adopted from Korea. Eriks on the other hand is really struggling with it. We have a very racially diverse extended family but he often says he doesn't like being brown. He wishes he was white like mommy and daddy. And of course we're always telling him we want his brown skin! We're learning how to deal with his identity issues. We knew they would happen but couldn't predict what they would be. I adopted my children to love them and protect them no matter how hard it would be. What a true and God-inspired post! As an adoptee and an adoptive parent, I could relate on so many levels! SO well written TM!! Thanks for sharing this!! You really need to write a book...you are such an incredibly gifted writer!! Beautiful...and the list holds true for ANY child, no matter how they came to join their mama. Just beautiful. WOW!!! TM, as always, you amaze me!! This is such a beautiful, thoughtful, well written post and I don't agree with everything (just about, though) but I respect your opinion and love being challenged in my thougts and feelings!! Thanks so much for being so honest and willing to share that honesty!! Love it. I can't even tell you how much. I was so angry when I read that some people wrote Kim some angry e-mails and comments....she has to be just the sweetest woman. I have to say that trusting in the Lord is the only way I get by some days with Emma Jane. I love the way you took the scriptures and applied them to adoption. I did this about a month ago with bonding/attachment. My little ones have suffered much trauma...as an adoptive mom almost 5 years ago..I knew nothing...NOTHING...that I know today. All of the signs were there but I missed them. Today we were at the dentist office, who is also our neighbor and she asked Lottie if she wanted to stay and play with her daughter Valerie while I went home. Now, in this woman's defense she has no clue about Lottie's issues with abandonment...and I don't have enough Spanish to explain it to her....yet. Lottie's eyes were HUGE with terror...her little eyes darting all over the room and then landed on me as if to say, "Would you really leave me here?" I politely, told my neighbor we really needed to do some things at home and then while walking home Lottie just burst into tears. This precious child has been with us for almost 5 years.....will love just help my daughter cope with this loss and grief? Nope...she needs much more....much much more. Thank you for writing this....I pray that this will be read by parents who haven't received their child yet and they will begin preparing right now....and even if they just brought their child home....may they keep their eyes open to the signs their children are giving them. Once I was blind....but now I see. Love you friend. Yes siree, Bob. You knocked it out of the park with this one, TM. I've always appreciated your Sunday links because they open my eyes to new vistas. Love you, love your blog, LOVE this post. I am speechless (well not really...). This post is perfection. it really is. It sums up how I feel in so many ways about so many issues but I have never been this articulate. The point that touched me the most (although I agree with every last one) is "it does not boast." I never think "oh what a great thing that we did a great thing for Kate "or that we "saved" her BUT I do often feel guilt that we have not adopted again. While we do have the financial means to adopt again our emotional and physical stamina is already REALLY stretched. And while others might say that is an excuse or baloney, it is not. I could not be a decent Mom to 4 kids right now. I have posted about this before but our adoption was kinda hard on Harry and it definitely made our marriage take a temporary backseat. I look at some amazing families with 4, 5, 6 and 7 adopted kiddos and ask...WHY? WHY isn't God calling ME to do that? How do they do that? (I admire them greatly BTW). My husband does not feel called to adopt again and one night I had a dream...I dreamt a scripture verse...Ephesians 5:21 I did not even know there was an Ephesians 5:21 and it says "Submit to one another out of reverence for Christ." I knew immediately that God was saying to listen to my husband and listen to His plan and He would let me know if we should adopt again. I am not good at submitting to my husband AT ALL but I like the verse GOd chose...submit to one another out of reverence for me. HE chose to reveal that one to me on purpose. Okay the other point I love is how adoption is a dirty business full of corruption but that doesn't mean we should not adopt. That is another thing I have really struggled with. I don't like having any part of that. I wish I knew a way to help end the corruption. It honestly keeps me up at night. I despise the fact that children are trafficked and seen as commodities. How...how can we make a difference? You are so very wise TM! Bravo, TM!! Wow!! I am with Stef, I definitely think this needs to be published! SUCH a great post!! Awesome, God-inspired and directed....I could go on and on. :) So, so much of my heart and what we have learned through this process of our adoption of our daughter from China almost 4 years ago now....haven't always been perfect while learning it, but I guess that's the teachable part, huh? I especially appreciated your sharing about the number of children that the LORD leads you to adopt vs. adoption for the sake of adoption. I have such respect for those who are led to adopt more than one child (and we still pray for the Lord's direction on another child....3 bio and 1 adopted)...BUT I am also very concerned that it's becoming a "cool" thing to adopt more than 1 child or to look upon a family who has adopted more than 1 and think how they MUST be more "Godly" or "blessed" or whatever the adjective. Wow! Kudos for you on this post. It is well written and very respectful. I am really enjoying reading (and then going back and rereading) all your thoughts about adoptive parenting. Well done! I finally found the time to read your entire post and am so glad that I did. It is brilliant and refreshing and sensible and other-wordly. There is so much about us that is different, but it doesn't matter. I don't feel separate from you. I appreciate your insights and your wisdom. And while my God is different from your God, the difference is really only in semantics, not in spirit. You have the unique ability to speak a universal truth without making anyone feel judged or ashamed (and in my line of work, that's highly valued). Love this! SO many people have 1st Corinthians read at their wedding and we presume we'll model our marriages after this Bible passage. What a great way to apply the teachings to our parenting! OK.. Just wrote a LONG response... and deleted it. Seems I never get the words out the way I want. I should just stop because my mind is getting that jumbled up feeling and the words just come out wrong! Trully was a blessing to read. WOW. I can't even think of anything profound to add after all these comments so I'll just stick with WOW. Very thought provoking, TM, and oh how I wish every AP I know would read this and really let the words sink in. Thought provoking and well written. I will pass this on for others to read.I read this last night and then again this morning and as I read it I felt like I was reading what was in my heart and in my head.. Great post! Oh Wow...Amen and AMEN! Thank you for writing this straight from the heart! I don't believe I have ever visited your blog before, but I am so grateful I was lead here today by another and I will definitely be returning! Every best wish for you and your family as your journey continues! Seriously, this needs to be published. People ask me for book resources to educate themselves more on adoption, and I would LOVE to have a book filled with these kinds of well written, thought provoking, thoughts to hand over the them. And to read again and again myself. Amen to everything you said! And thank you for taking the time and effort to put it together and for your willingness to share. I am going to link you/this post to my blog if this is okay. I didn't have a block of time to read this yesterday, but I'm so glad I came back to it today. Excellent post! This is an awesome post and such good advice for adopting parents. THere were so m any good points I don't know where to start but I will say that Love is not jealous or fearful of first parents is a biggie for most of us and so important for our little ones. Our middle dd cries and tells me she misses her China mom (even though she couldn't possibly remember her/see her) and I just hold her and comfort her and tell her how sorry I am . The little one seems clueless and the oldest is nonchalant about the whole China mom thing. You may have any of these reactions and it still be normal behavior. So very good also ---only adopt if you want to love a child, and be patient---I'm still working on that last one. Great post. Thank you for putting in out there. I can't tell you how much I needed to hear those words. Our four year old daughter came to us from foster care two years ago, and it's been difficult at times. Sometimes I worry that I don't love her because I don't feel that warm mushy gushy feeling when I look at her. This scripture, and your comments, remind me that love is not the mushy gushy stuff. It's the difficult stuff. And since love hopes all things, I will focus on looking at her with the hope that one day my heart will overflow with mush and gush for her. Wow. You've taken a well-known piece of scripture and opened my eyes to it in a new way. Thank you. AMEN and AMEN! Thank you for encouraging my heart! i have to say this blew me away. I needed to read this...tonight. thank you. thank you for doing His will. thank you for sharing of yourself. my daughter is going through a lot right now. it has been 3 years since we brought her home and she recently started asking a lot of questions and there is just soooo much "stuff" going on in that sweet little 4 year old head of hers. I haven't been a part of this adoption community. we have been living in a bubble of sorts, so very naive. I need to reach out for my daughters sake. thank you again. I am so grateful to have found this. I think I need to read and re read this post about a hundred times. Oh, your words ring so true. I need to exchange the word love with Mommy. What a great post! Really really enjoyed! I thought about it throughout the day yesterday. Thank you. "God should determine how many children each family has, not the humans involved." I really needed to hear that. I sometimes feel like a failure that I can't handle more children. But I feel maxed out at 2. Whenever I consider going 3, it seems that the children get REALLY challenging. It's like God is saying, "Your hands are full. Stop." Thank you. I don't feel like such a failure now and that it's ok. It's God's plan. Thank you TM. Hi ~ I've never seen your blog before but a friend forwarded it to me. This post was very well written and I agree with most of it, however, I think you should watch the FLY AWAY ETHIOPIA RESPONSES on youtube. Go to www.youtube.com/watch?v=PZ5dVI_zXQc. If that doesn't work just go to youtube and search for Fly Away Ethiopia Response 1. They are very insightful videos. You may completely change your mind about the original video you posted. I too was outraged when I watched the FLY AWAY ETHIOPIA video, but our agency told us to watch the responses, and did I EVER change my opinion! Just thought you'd want to know. Thanks for this wonderful post! It is truly inspired. I'm going to be sharing it with those who approach me asking about adoption! Thank you, I can't see the screen because of tears. This is powerful stuff, you were used as a means for God's words. Thank you for allowing it! excellent, and spot on! Well put! Very well written. Thank you for posting. REALLY great post. I think I can safely say that I agree with everything. So much of what you said has been brewing in my heart, especially the part about over-stepping how many God has called us to adopt. Seriously. I absolutely love big families but I DO NOT feel God calling us to be one of them. Not sure what He has in store for us next week...or next year, but for now, we are done. Gasp! Some in the adoption community would flame me for that. Thanks for sharing your heart, friend. This definitely needs to be published. not angry, not divisive, not pious or self serving. I loved this post. Man, if every adoptive parent only approached their child with this kind of insight and love. And I realize it's written with adoptive situations in mind but so much of translates into a loving way of treating children in general. I think. Oh, I forgot to mention this. Melissa who Kim linked to is not an "angry AA". She's a person who's willing to put her feelings out there to try to give others something to think about. The first comment on Kim's post points out that Melissa's family didn't talk much about her adoption and that's part of her pain today. Well, that is EXACTLY why it is so very important for APs to read this kind of stuff: To learn that it can hurt your child if you don't promote an enviroment open to communication. I just felt like defending Melissa who's helped me personally beyond words. Just found you through Stef at Ni Hao Ya'll. Truly inspiring...and convicting. Thank you for your words of wisdom. I will be back to read more. Amazing post - I can't say it any better than what those above me have said. I've bookmarked it & shared it so I can come back again and again. My wife and I recently adopted two boys. She found your site and asked me to read it. It was an enlightening read. You did an amazing job with this post. By breaking down the scripture, you taught about adoption and I agree with this post 110%. This is kind of a Master's Level class for Christians on Adoption. It's beautiful and apparent you put all of your heart and soul into it. May I link to you on my blog? Thank you so much. We are in the process of our first adoption and this is better than the million hours of required readings! Thanks, Be blessed. Oh. Thank you. From the bottom of my heart. You speak right from *your* heart. Thank you to Kristen Howerton for sending me here, too. I'll be back. I am not a religious person, but a spiritual one, and a parent by adoption (open, transracial) of two teenage boys. This morning of Mother's Day, we will call their birthmom. We will laugh and cry a bit. And I will feel amazed and thankful, again, to be one of our boys' Moms. There cannot be too much love in this world. Thank you so much for this word-ly gift today. 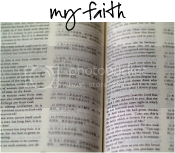 TM, as an adult adoptee, thank you for addressing the Bible in this post, and helping parents who use the Bible to think through its application as they raise adoptees. "Ideally, a child should live with his or her biological family in a safe, nurturing environment where basic needs are met. Period. Adoption should not even enter the conversation unless this is not possible. Which means that adoptive parents should not only listen to the voices of adult adoptees, but also the voices of first parents/ birthparents/ natural parents. Learn, from their perspectives, about the Baby Scoop Era (BSE) and the coercion that still goes on today. Accept that more young mothers might choose to parent their children if they received more support and acceptance from their families and communities." Thank you! This was wonderful, amazing, and inspiring! After the first post I read on your blog about "Plan A" and "Plan B" I have begun to jump in the Bible to study God's heart and his plan for all of us. I wholeheartedly agreed with with that particular post. At some point I will finish this but it is such a deep topic. What I absolutely love about this post is that for those of us who are Christians it gives no wiggle room to debate how God calls us to be. It is right there in the scriptures. This weekend my husband and I are speaking at a parenting workshop regarding adoption at our church--I can tend to over analyze but this is perfect, simple and will somehow end up in my message to adoptive parents and those considering adoption. Thank you again! As Mia posted earlier, I too, must say that Melissa K is not an angry adoptee. She has helped me so much to understand being an Asian in a Caucasian home; about being open and honest with my daughter and to love her no matter what. As my husband and I champion adoption in our church she has gently reminded me to have adult adoptees involved in every aspect. She is an amazing woman and I am really grateful for her honesty. It has prepared me to be a much better mom to my lovely daughter...just needed to say that. Tonggu Momma, THANK YOU!!! My cousin Gabe pointed me to this very post and it's saved my life. Our adoption experience has been so isolating. But I've connected to no less than a dozen really amazing sites because of your blog. I know you must get a lot of these, but I wanted to pass the award that I received this week onto you. You can find out about it on my blog. LOVE this post and really want to link it up in some places, but my stomach turned when I opened the Fly Away Children piece that you linked up. It is full of unsubstantiated claims, and it makes me sad that so many smart people in the adoption community seem to be taking it at face value and spreading it around the internet as a piece of valid journalism. Yuck. And I say that as, yes, a Christian World Adoption client. But also as someone that acknowledges the corruption that exists in many facets of the adoption world. Thanks for the post. Loved every bit of it otherwise. Wow, what a thought-provoking, amazing post! My husband and I are just starting the domestic adoption process. Your words are so true! Thanks for sharing! This is so incredibly beautiful. Thank you for sharing! How beautiful and necessary to look at adoption in these terms. "Be patient when they are anxious... they are afraid you will leave them. Be patient when they are controlling... they are responding to a deep-seated need to feel safe and secure." Thank you for this, TM. Holy cow this is AMAZING. What a gifted writer you are, and what a beautiful use of Scripture compared to adoption. I love it. Love it. LOVE IT. You have a beautiful power with words. Now following from Creme de la Creme (hope you'll follow me back). Wow. Here from the Creme, and an adoptive mom-in waiting. I can't believe I never stumbled on your blog before. but now that I have... I'm pulling up a chair! That was one of the best posts I've ever read on the Internets. There is a marvelous post. I haven't yet decided about adoption, and this gave me a ton to think about. Thank you! Hi, I'm here from the Creme de la Creme list and I have to say, this post is amazing. I will be coming back and back to it, I think. I have been turning over a lot of these issues in my head lately as I think about the possibility of adopting, and your kind perspective on the issues in transracial adoption really resonates with me. I keep going around and around on it because it's so hard to separate the good from the very sad history of coercion in my head. Thank you for giving me someplace to start. Thank you for writing this. Great post and very honest and not afraid to say the difficult things that sometimes need to be said. I am Indian and often find myself the only non white person in the room. Although generally everyone treats me with such respect occasionally I will feel on the outside. So good point about allowing adopted children to see other faces that look like theirs. Wow, I really don't know what to say. I've never read a post on adoption that so honestly portrays the responsibilities of the parents involved. Adoption would be a hard undertaking but even in presenting the high standard by which adoptive parents should live, you seem to make is look easy, effortless really. Thank you for sharing this, so that everyone can know more fully what is means to be a part of this special relationship. I love the way you broke this down to follow the scripture! Fabulous post!!! Thanks for sharing it with us on the Creme list!